London is the perfect capital city for tourists as it offers a variety of accommodations, means of entertainment and local attractions. There are fun activities for any age and groups sizes. A variety of traditional and international dishes awaits for you in restaurants. Try all beer specialties in the famous British pubs. Develop your cultural background and visit museums, art galleries and historical residences. In order to enjoy all the above mentioned activities, it would be better for you to choose a hotel that is perfectly located, allows you to enjoy a good night rest and offers modern facilities. All at a convenient price. 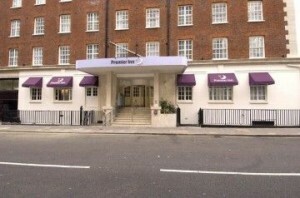 An example of such an accommodation is Premier Inn London Victoria Hotel. It is situated close to some of the most beautiful landmarks in this capital city. Among the local attractions that you can visit after a solely few minute walk are the following: Buckingham Palace, West End area and Hyde Park. However, hop on in any means of private or public transport and you can reach any desired destination in London. The hotel offers air conditioning, spacious rooms, comfortable beds, conference rooms, parking spaces, Wi-Fi, and many more. Book your staying at Premier Inn London Victoria Hotel now and also enjoy preferential prices. In order to get a Stansted Airport to Premier Inn London Victoria Hotel Transfer by rail there are three main options. First of all, you could take the train from Stansted Airport (every 15 minutes) via Tottenham Hale Underground (every 5 minutes). This journey will take about 1 hour and 5 minutes in total. The second option is a bus from Stansted Airport (once a day). This journey lasts about 1 hour and 20 minutes. The last option involves a bus from London Stansted Station (every 60 minutes). It will take a total of 1 hour and 26 minutes of your time. A Stansted Airport to Premier Inn London Victoria Hotel Transfer by car can be done by taking the M11 motorway. Stansted Airport is at a 40.2 miles distance from Premier Inn London Victoria Hotel. This journey will take about 57 minutes, without including traffic. A Stansted Airport to Premier Inn London Victoria Hotel Transfer with 247 Stansted Airport Transfer is going to take about 1 hour and 31 minutes, including rush hour traffic. The price for a Stansted Airport to Premier Inn London Victoria Hotel transfer starts from 59 GBP.